On the 1st (Sun), contemplate the long history of Aughnanure Castle, experience rural life at Loughwell Farm Park, then get a taste of the local shopping with Spiddal Craft & Design Studios, and finally stroll through Feeny's Equestrian Centre. 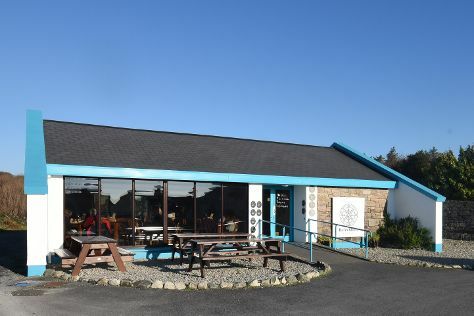 Here are some ideas for day two: stop by Hazel Mountain Chocolates, kick back and relax at Fanore Beach, then look for gifts at Standun Spiddal, and finally appreciate the extensive heritage of Riverside Walk. For more things to do, reviews, maps, and tourist information, go to the Galway day trip planner . If you are flying in from United States, the closest major airports are Dublin Airport, Shannon Airport and Cork Airport. In April, plan for daily highs up to 51°F, and evening lows to 38°F. Wrap up your sightseeing on the 2nd (Mon) early enough to travel back home.